I live under a rock. It’s official. 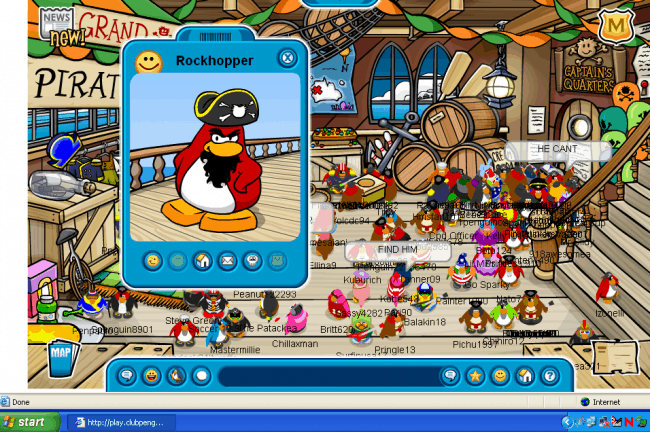 Apparently, Club Penguin has been around for EONS but WHO KNEW? Not me! Never heard of the website. My daughter has been coming home BEGGING for me to join Club Penguin for the last few weeks. Several of her girlfriends in class have accounts and they keep asking Natalie to join them. I kept pushing it off over and over again because I was a little afraid about Natalie having a presence on the net at such a young age. I posed the question to my Facebook friends and got an overwhelming “IT’S OK” response. Turns out there are a TON of safety features built into the system. 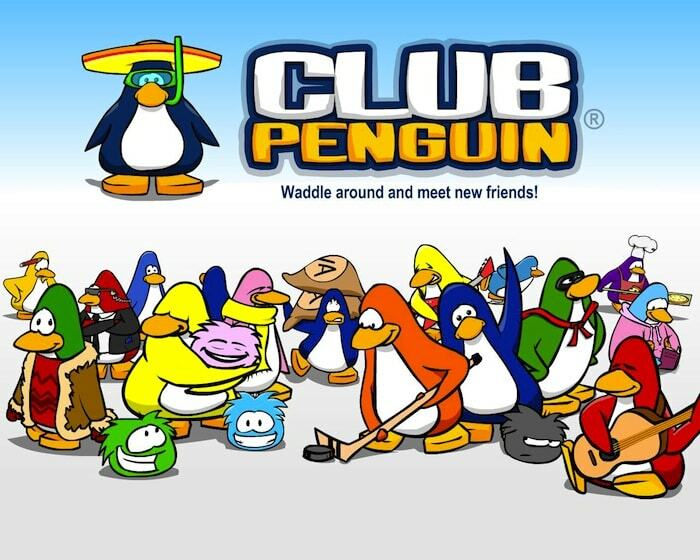 At least 40 people I know have children that have accounts on Club Penguin – and none of them had anything negative to say. So, we signed up yesterday. Natalie is officially a Club Penguin participant. HOWEVER, I turned off the chat feature. I’m not into it! I don’t care how much she begs, it AIN’T happening. Basically, from what I gather, your child gets to create a penguin and dress them up, walk them around town and meet other penguin friends. By turning off the safety chat, Natalie can only say and see pre-populated messages and is not allowed into any of the chat rooms. Despite being told that they are heavily monitored… I don’t care. She isn’t chatting online at 7 years of age. Sorry. This morning Natalie went to school levitating. She couldn’t WAIT to tell her friends that she now has a Club Penguin account. Oh and one more thing — there is a PARENT sign in as well. So, you can see how long they play, change their passwords, manage their account – etc. We are only on day two folks — I will let you know more when I do. Do your children have a Club Penguin account??? All three of my girls have it and they love it!!! The 2 oldest have been on it for about 3 years and my 5 year old just started within this past year. She doesn’t do the chat. I’m not going to lie I have helped them play some of the games on there to LOL! I’m sure Natalie is going to love it even without the chat!! !